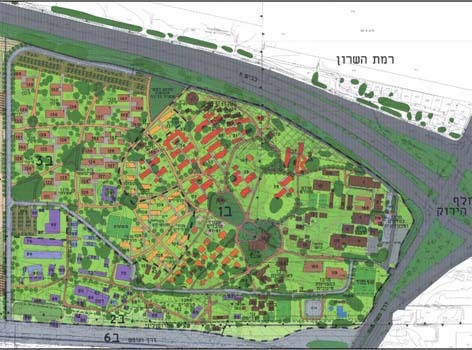 Description: Comprehensive master plan for Hakfar Hayarok as the interdisciplinary center for environmental quality (an agricultural and environmental school). Roll: Head of Planning Team and Chief Architect since 2000. Client: Hakfar Hayarok Agricultural School. Main Figures: Over 100,000 sqm of buildings.